Picking up a sabre toy in order to use its liquid as a substitute for Kurisu’s blood, Rintaro and Suzuha return to the day of Kurisu’s death. 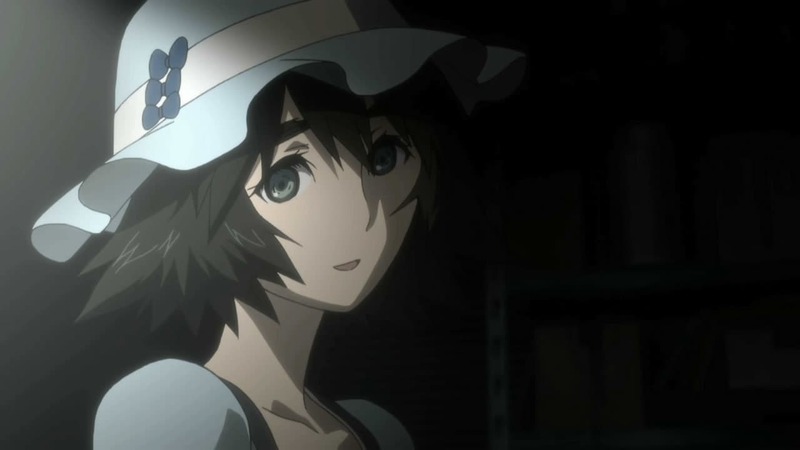 First, he makes sure to obtain a metal toy Mayuri previously found in order to prevent Nakabachi to successfully bring Kurisu’s theory to Russia. As he prepares to fake Kurisu’s death, Rintaro finds the liquid in the sabre had dried up. To this end, he allows himself to be stabbed by Nakabachi, before knocking out Kurisu with a taser and using his own blood to set the scene up for his past self. As Rintaro returns to the past, Suzuha gives her thanks before time is altered so that the time machine was never invented. In this new timeline, Rintaro goes around giving badges to his past lab members, eventually managing to meet Kurisu once again; she was looking for Rintaro to thank him for saving her life, suggesting that the event of their romance doesn’t disappear, either.